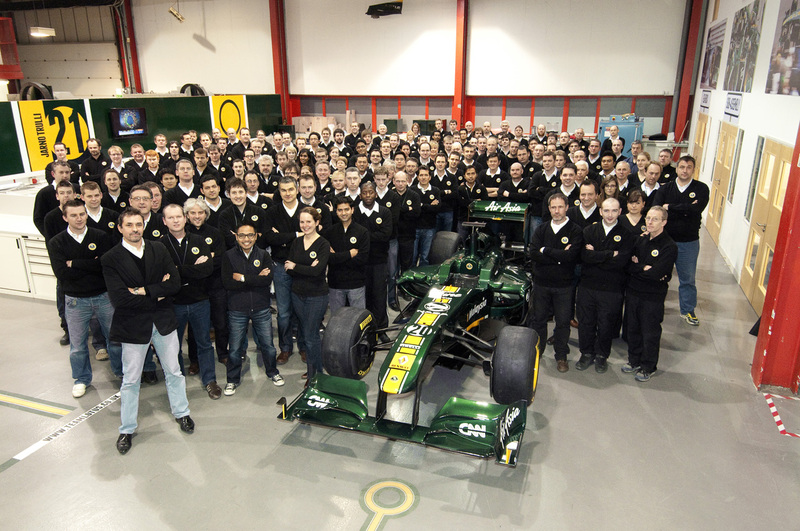 The second team to launch an F1-racer is Team Lotus. However, it was first revealed online. Why? Because they wanted to come out before their British counterpart, Group Lotus. It’s all part of the battle for the illustrious Lotus name. You have been keeping up with the story, I presume. That is for another post. 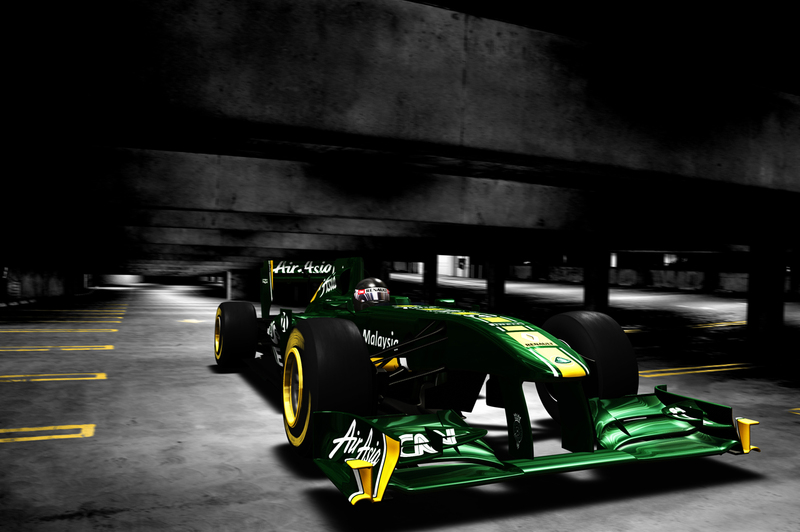 Team Lotus will be retaining their original green and yellow color scheme for this season. 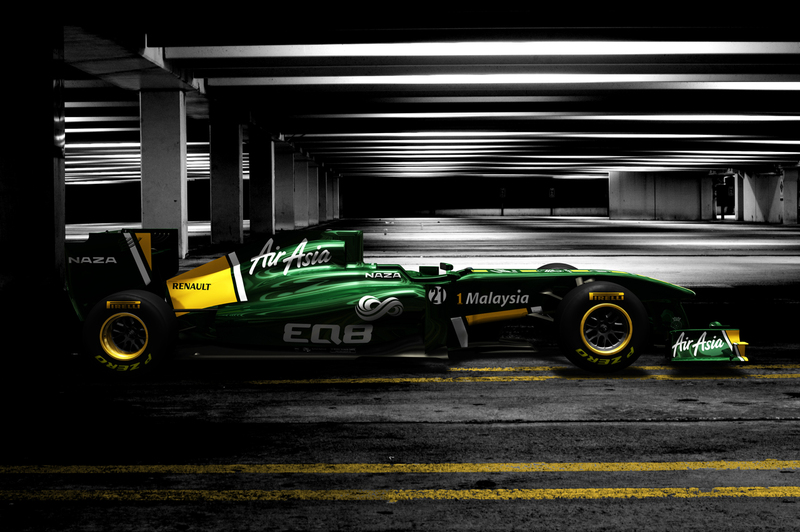 After having planned to change to the Lotus colors of the past, Group Lotus announced the same livery plan. Unfortunately, they had to abort. The battle is still in progress – for the Lotus name, and eventually its colors. This is the T128, ‘a complete clean-sheet redesign’ over their 2010 model. Designed by Mike Gascoyne, the T128 is more radical than the T127 was. If you remember, the team had to rush to get their car up, running, and on the grid. Such little time also gave them little room to come up with an original design. They played it safe and simple in order to start 2010 and end with visible footing. Their Cosworth engine has been removed and replaced with a Renault. Also brand new is their gearbox which is to be supplied by Redbull. They will be starting the season without KERS, with a plan to implement it three to four races into the season. Jarno Trulli and Heikki Kovalainen are to remain their drivers. They feel confident that the new design will help them be more competitive. With over a decade of experience, Trulli is a great asset to the team. This should be a year where the drivers and the team see improvement. It was said that Karun Chandhok, one of HRT’s race drivers for part of the season, was spotted at the Lotus pit for the second day of testing in Valencia. A reserve driver role perhaps?